Ebena Isles was born in 1906 on March 16 in Scotland, and migrated to Australia with her mother Margaret (nee Whitton) and two siblings on board the Irishman, arriving in Sydney on November 14, 1912. Her father Ebenezer arrived earlier that year in April. Ebena Isles died in 2001, after a long life of active community and local government service. Isles attended Fort Street High School, where she completed the Leaving Certificate in 1923. From 1924 to 1934, Isles combined full and part-time study at Sydney University to complete a Bachelor of Arts in French, Philosophy and Latin. In 1927, she was appointed as a teacher with the NSW Department of Education and was first posted to Hurstville, going on to work in a number of urban and rural high schools until 1941. At this time, Isles was head-hunted for the position of Warden of the Sydney University Settlement, following two unsuccessful advertising campaigns for a successor when previous Warden Thora Hawkes unexpectedly resigned. Isles was considered an ideal candidate because of her experience with Girl Guides, Physical Education and Drama. She served 17 years as Settlement Warden before returning to teaching in 1959. As Case Worker at the Settlement, Isles worked in the local community with those experiencing difficulties with housing, children’s behaviours and issues relating to cases of material need. She was instrumental in a number of initiatives to improve conditions for children and families of the Redfern municipality, and oversaw a steadily increasing range of leisure groups for children that included knitting, painting and pottery, along with Brownies, Girl Guides, Scouts and Cubs. Isles believed strongly that supervised activities were important to counter delinquency and foster community spirit. In 1943, Isles worked with other members of the Settlement to establish a canteen at Darlington Primary School, first arranging for Sydney University Undergraduate students to conduct research to gauge if children’s school lunches were nutritionally adequate. The canteen provided some 250-270 lunches per day for many years. Isles arranged for the Board of Education to supply milk, and also worked with Darlington Council for funds and facilities. Isles resigned from the Settlement in 1959 and moved to her weekend cottage at Towlers Bay, where she returned to teaching, and taught for ten years at Narrabeen Girls High School before retiring. During the 1930s and 1940s, Isles volunteered at the Family Welfare Bureau in Sydney’s Town Hall, providing support to needy families. She completed a Diploma of Social Studies over a number of years, graduating in 1947, and it is likely that her work with the Family Welfare Bureau was carried out in the context of a work placement for this course. In World War 2, Ebena Isles served as Deputy Civilian Aid Officer for the Red Cross, providing relief for civilians in the event of air raids. In the 1960s, Isles donated her Towlers Bay home to the Youth Hostels Association of NSW and moved permanently to Mount Victoria. There she became involved with the local historical society and as Research Officer at the Mount Victoria and District Historical Society produced a history of the local school along with a series of small pamphlets about the local area. 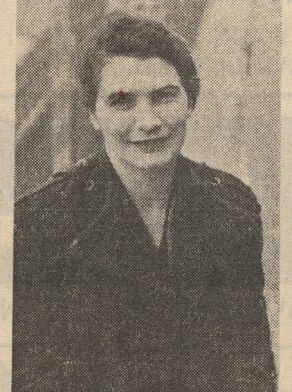 In 1944, Ebena Isles was one of ten women elected to local government in NSW, standing as an Independent candidate for the Golden Grove Ward. Isles was active several committees including Cleansing Park and Playgrounds, Works, Kindergarten and Baby Health Centre. Her achievements as Settlement Warden and as an alderman on Redfern Council frequently overlapped, for example when Isles moved in Council meetings that a cricket kit be stored at the Redfern Oval for children to play after hours. In 1946, Isles was one of several aldermen who ‘engineered’ a failed mayor election by not attending Council meetings at which election of a new mayor was scheduled. A deadlock had occurred through the lack of a quorum for each meeting, reportedly caused by ‘political decisions’. The Labor Minister for Local Government, Joseph Cahill, was forced to appoint the Redfern Mayor for 1946. In 1948, Isles requested a six-month leave of absence, in order to tour the United Kingdom and visit Settlement Houses there. On her return, she served briefly as Deputy Mayor, before resigning from office. University of Sydney Archives, Student Record Card Ebena Isles, Faculty of Arts, commenced March 1924. ______________ Darlington School Canteen Minutes 1943-1948. Redfern Minute Book July 13 1944 to June 25 1946. Redfern Minute Book June 27 1946 to July 27 1947. Ancestry.com. Victoria, Australia, Assisted and Unassisted Passenger Lists, 1839–1923 [database on-line]. Provo, UT, USA: Ancestry.com Operations Inc., 2009. Microfiche VPRS 7666, copy of VRPS 947. Public Record Office Victoria, North Melbourne, Victoria.